What would be the proper procedure to: If a male changes his surname name legally is his birth surname still the name the one used ? Ie: born Gingles Adopted and name changed to Yaworski Legally changes surname to Sundberg What name do I use for my genealogy records? or do I use notes to show the history? I'll expand on that to "Any Name Changes", including names that the Family knows. The simple answer is, Record the NAME as claimed by the record? With the appropriate Citation. The "Also Known As" or A.K.A. is what he was called by many, others by the Preferred AKA Fact. The highest number of Citations, also does not Drive the Preferred Name Fact. In this case, there are 7 records that has his name with "Sr" at the end. I have blogged about that as well. As with females, I make the Preferred Name as the Birth Surname. He wasn't born with "Sr" as part of his name. Later records may reflect "Sr", but I do not use that as the Preferred name. The control over the Preferred Name comes from User Evaluation of the records. The Reader's question gets to the next level, where the Surname Changes. My preference, in general, is Birth Surname. The Exception, and I have them, gets down to the reader or audience of your database. My cousin was adopted by her step-father. I made her Preferred Name to be her adoptive surname. So family may drive the name preference. So, the person asking the question might choose to use the most recent surname. Now, the AKA issue. 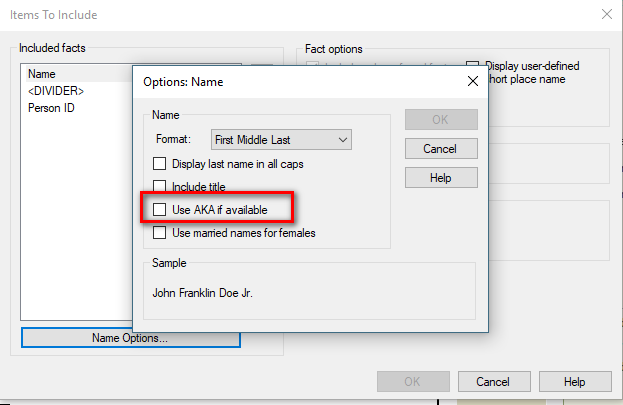 Not specifically asked, but in Reports and Charts, that AKA field is Optional. Which option to use ? It's up to you. As mentioned, my preference is Birth Names, Family or Given Names and Surnames, but there are times, when it is appropriate to make another Name entry as Preferred. In my example: I have 10 different Name Facts, with 42 Citations for all of the Name facts. In this specific example, the Name Fact with 24 was my choice, as my current thinking it is the most accurate, but I have another example of 8 different Name Facts, 39 Citations, but the Preferred Name Fact only has 4 Citations. Or, as I have seen and heard "It Depends"
A blog post on making a list of Shared Ancestors of a Couple ?? Sorry, I don't understand what this might be about. Nor what problem is trying to be resolved. 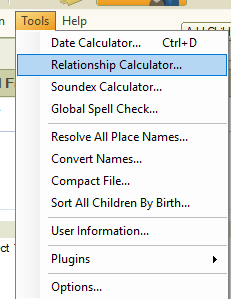 The closed I can come to is when a couple have multiple relationships between each other is by looking at the Relationship Calculator in the Tools Menu. This is a husband and wife. (not showing entire screen for privacy reasons). The KEY here is the Relationship (3). Husband and wife, is one, but there are two other relationships that they have. Viewing the Relationship Chart (bottom of that window), selecting each of the 3 relationships, you will see the list of Ancestors, back to the Shared, COMMON Ancestor(s). In the example of the Husband and Wife, being related 3 times, which they are, they Share NO (zero) Common relatives according to the Relationship Calculator. Reviewing the charts, you can see how they are related. One of the relationships is "6th cousin 2x removed of wife of 7th cousin, 1x removed". 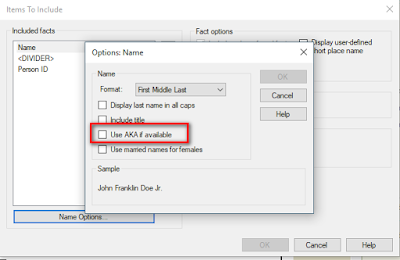 User Question: Batch Editing of "Source Citations"
How do I merge duplicate source citations ? Why? The term "source citation" in the question. That "term" is two DIFFERENT topics. I hope I explained that in that presentation. Working WITH Source Information from Ancestry is one thing. Crafting a Citation based in the information used from that record is another. 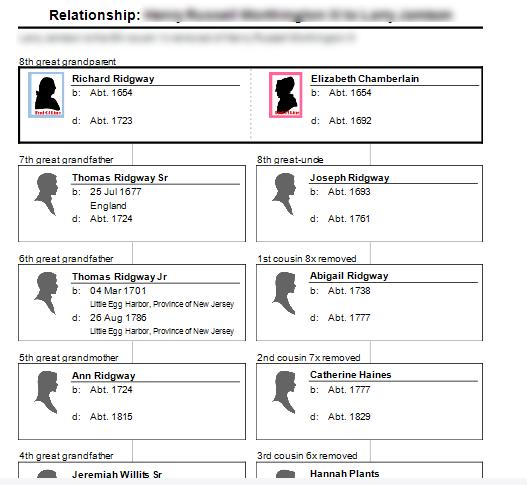 I have blogged about this many times before, but I ALWAYS move ALL Source Information into the Source Template feature in Family Tree Maker. That feature was introduced in FTM2010 and is based on the EvidenceExplained standard that was present at the time. The SOURCE Templates are not as accurate as they should be, but I have been successful getting them as accurate as possible. Please remember that this feature only deals with the SOURCE information. The container of the information. Crafting the Citation, is the next step. I say "craft" as it is not a science, being that you "this, this, and that". It takes time. The "out put" of the Source Template and adding the Citation Details will automatically populate the Reference Note. I have explained that with color coding on what information in the Reference Note comes from the Source Template and what information comes from the Citation Detail field. To make it easiest for me, I use the Citation TEXT field for my information and do NOT include that, nor the Web Address into the Reference Note. I will NOT and do NOT Batch Edit ANYTHING in Family Tree Maker, let along a Source or a Citation. The thought that is always on my mind when working on Citations, is that most, if not all websites, that provide us with Source Information MUST BE Cleaned up, if I want for my Reference Notes to be as close to EvidenceExplained as possible, I must to them ONE AT A TIME ! Right at this moment, it is Amber. 10 minutes ago, it was Green. 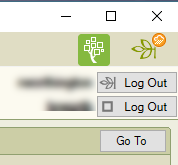 I only use the FamilySync feature when it is GREEN. You can also see this in the Plan Workspace, Left Panel, mid way down the screen. FTM 2017 has started a new fact for 100's of facts that normally would have gone into a regular Fact item. 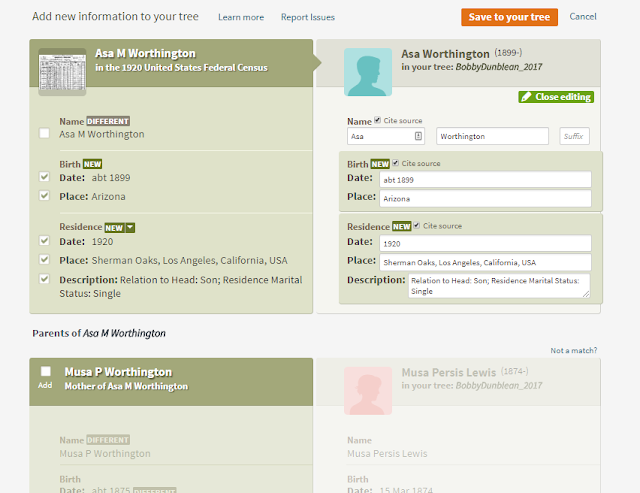 I use Ancestry online to make changes and sync to FTM 2017. Now in FTM 2017 I have all these new fact categories. I don't how or why it is doing it and don't know how to fix them. Sorry, the question is too vague but I will take a stab at a response. Beware, I will probably have some views along the way. What I am guessing the question is about, is the types of FACTs that Ancestry will add when a Merge of a record, from Ancestry, OFFERS to the owner of that Ancestry Member Tree (AMT). When a merge is started, the user is offered what Facts to keep, ignore, or accepted as Alternate Facts. What I don't understand it "facts that would have going into a regular Fact item. A FACT is a FACT. Don't know what a "regular fact" is nor do I know what "new fact categories" means. Above that, how to fix "it". Various Records from Ancestry offer many different Facts, based on that Record. In other words, these records provide us with INFORMATION about the Profile (person) to help us determine that persons story. 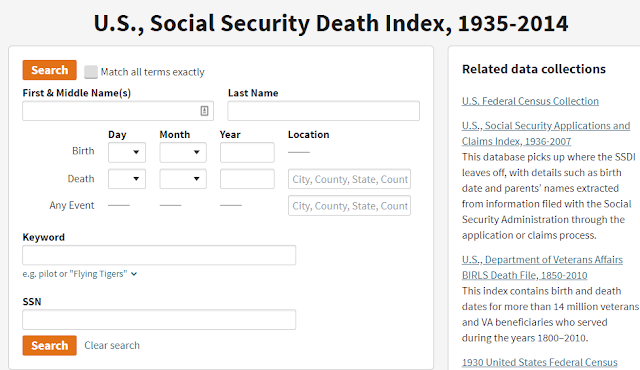 If Regular Facts means Birth, Death, and Marriage Facts, then a Social Security Death Index Record might add Facts like "Last Residence", Last Benefit", "Social Security Number". One of the advantages of doing the Merging of Records in FTM2017 is that you are the "big" picture, all of the Facts, that you have collected so far, before you do the merge, and during the merge you see some of them. That is on the Lower Left Panel of the Web Merge Screen, and in the Lower Right Panel is the FACTS (Information) that is contained in the Record. Like the merge done online, you have the option to chose which Facts are or are not going to be included in that Merge. The information on the Left is from the Record and the information in my database (AMT) is on the Right. 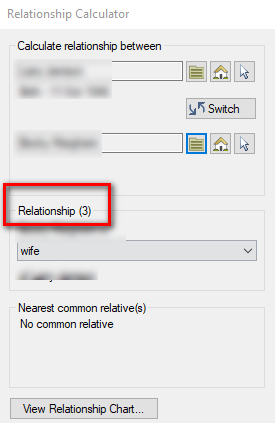 In this example, I only have the person's NAME (fact) and some relationships. This was taken from an AMT Hint. The word NEW in the left panel and right panel, is suggesting that I can ADD those FACTS to this profile. AND I have choices. Sorry, I just can't guess what the real question is, only guessing what it might be. Finally, IF I were do to this merge in the AMT, then did a FamilySync with FTM2017, those "new"facts would be added to my FTM2017 database. 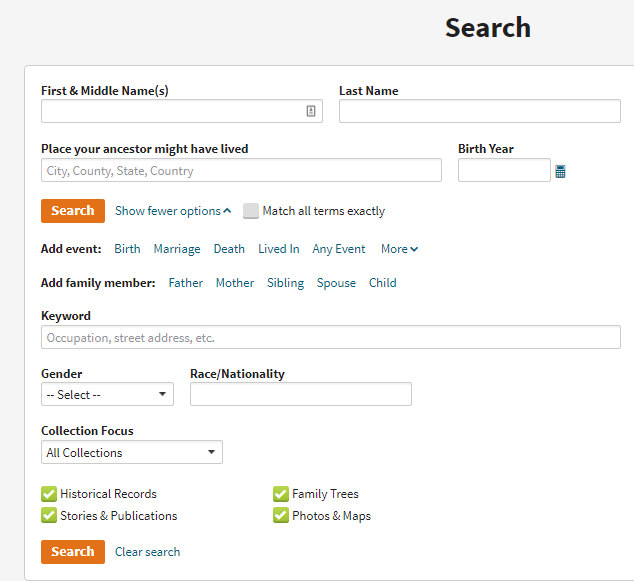 Dear Randy: How Do You Search For Records on Ancestry.com? My approach is slightly different and thought I would share the difference. Please don't get me wrong, Randy will run circles around my research. His second choice was to use Hints and Suggested Records. Hints, within FTM2017 are my FIRST Choice. Reason, the criteria and data required by the Hints provided in my Ancestry Member Tree are far more accurate from the data on the Generic Search Website. There are many fields that can be filled in, some fields may or may not get the results I might want. I have mentioned this before, but when I do use the Ancestry Search engine, manually, no hints, I will search in a specific Record Collection, preceded with a specific Genealogical Question. l have learned that the Search Screen fields will be different based on that record collection. Also, I have an Evernote note that I create and update based on that Record Group. I have Citation information, what information I want to gather from that record collection. 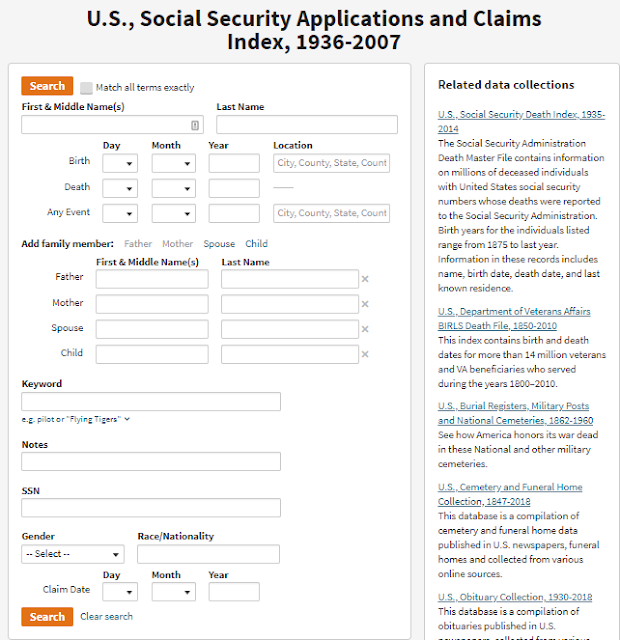 For example: The U.S.,Social Security Applications and Claims Index,1936-2007. Note the fields that can be completed, if know. The data fields are different. But, in most cases, I have a specific question, which would lead me to a specific Record Group, I would go to that Record Group and did the search from there. I generally start very broadly, then refine (Edit) the information in the Fields, but I do start with the Sliders that Randy describes. But, I let my Ancestry Member Tree (AMT) find the Hints that I will use, within FTM2017. I do ALL of my Data Entry in FTM2017, including the Web Merge Feature. 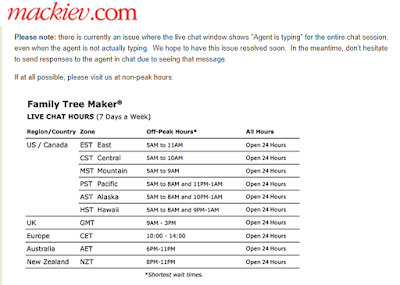 I do not merge any records in the AMT.